Buhwarui Banseok wins going away in the 3 year old Feature Race over 1800m! Buhwarui Banseok finishes strong to claim victory in the 1800m 3 year olds main race worth US$300 000.00. After being well positioned and patiently ridden by Darryl Holland, the son of Tizway (Aim For The Moon) showed tremendous turn of foot and potential as he romped home in fine style to win by 2 and a half lengths. Buhwarui Banseok has had a total of 11 starts, producing 5 wins, 4 seconds and 2 thirds. Congratulations to the winning connections and White Fox Farm who bred this spectacular Colt. Wonil Gangja scores 3 from 4 Class 1 victories for his new stable!!!! Wonil Gangja closes off the final race meeting of 2016 with a gutsy run to end the stables season with 40 winners. This son of Cowboy Cal dug deep in the final stages of the 1400m race worth US$105 000.00 on Saturday. Having had just 4 starts with the stable he has pocketed 3 wins and a third. He is a very straight forward horse with a lovely work ethic and great determination. Congratulations to the team behind the scenes and to all the winning connections. Before changing trainers and moving to us in August of 2016, Wonil Gangja had not won a race since late 2014. His first start for us was a Class one victory where he sat off the pace and ran on extremely strong to claim his prize. His next start with our team was a little concerning as his previous pilot, Chae Sang Hyun, had been stood down due to injury. With weighing up our options it was decided to replace him with our stable apprentice Choi Eun Gyeong "Silby" as she was well enough acquainted with his morning paces. Change of tactics - Silby was to go to the front over the 1400m because we were graced with the 3kg claim. She dictated the pace and fought out a very stern finish, coming back at them where it mattered the most. 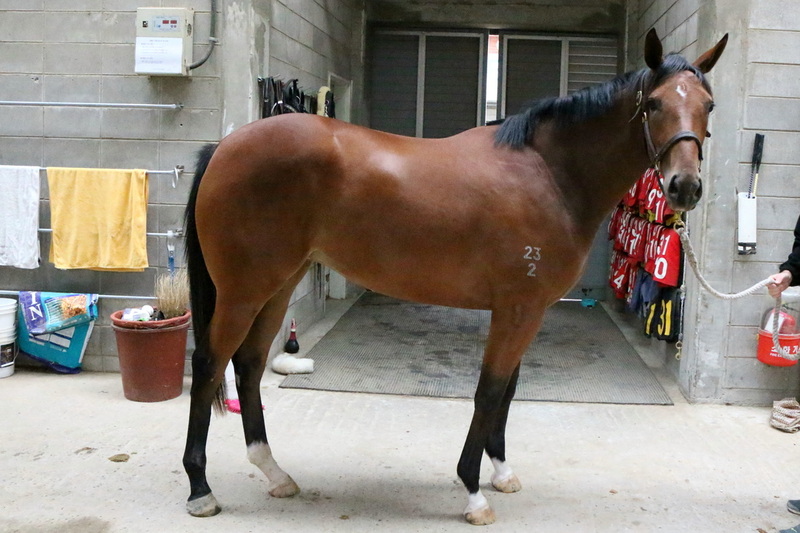 Wonil Gangja is a very striking 5 year old son of Cowboy Cal, he came to our stable in good condition and without any vices, thank you to the owner who has been a very confident supporter in our yard. We look forward to assisting you in purchasing you next athlete. The Singapore Turf Club will for the second year running host Korean horses to contest the $250,000 Korea Racing Authority Trophy (1200m) at Kranji on July 24. 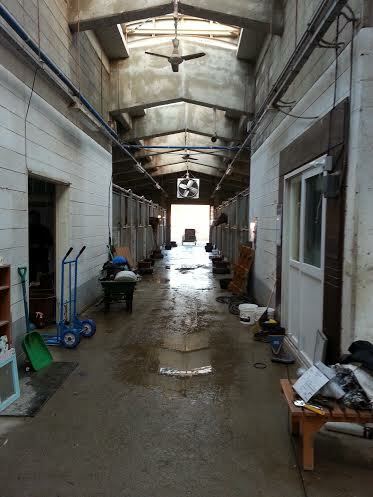 Last year, three runners, two from Busan - Nobody Catch Me and Gamdonguibada – and one from Seoul – Cheon Gu (pictured above), represented the Korea Racing Authority (KRA) in the Polytrack race, which will again be open to Singapore-based horses rated not higher than 90 under the Malayan Racing Association scale. Even if they did not win – with Nobody Catch Me producing the best result with a sixth place to Super Winner – the KRA were thrilled with the experience which they have gladly accepted to renew this year. Super Winner (Soo Khoon Beng) took out last year's KRA Trophy. The KRA Trophy was staged as a reciprocal invitation to the KRA hosting of Singapore-based horses to their inaugural Asia Challenge Cup (1400m) in Seoul in 2014. Singapore’s El Padrino captured the race, returning to defend his title last year, but came too late over the shortened trip of 1200m to finish second to Cheogang Schiller. 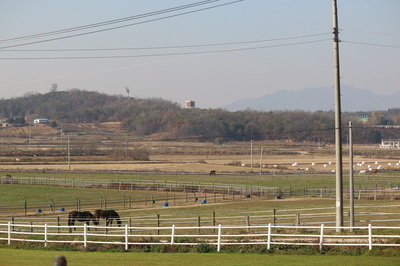 With the two races now established as a racing exchange to both help cement the ties between the two turf clubs and assist the KRA in its objective to upgrade the quality of Korean races for inclusion in Part 2 of the International Cataloguing Standards, the stage is set for the July 24 first Leg which has this time drawn five Korean entries, including two reserves (a maximum of three Korean horses are allowed). 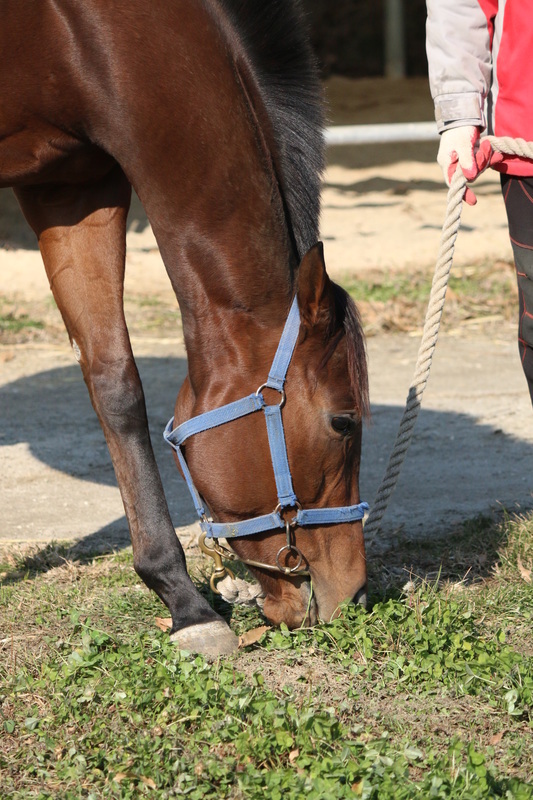 Parang Juuibo – 6yo US-bred brown horse by With Distinction out of Spicy Souffle (x French Deputy). Trainer: Kim Soon Keun. Six wins (1000m to 1700m) and 10 placings from 33 starts (33-6-5-5) Type: Sprinter-miler. Racing pattern: On-pace. Baksuchyeo - 5yo US-bred bay gelding by Bob And John out of Say Amen (x Pulpit). Trainer: Shim Seung Tae. Six wins (1300m to 1400m) and four placings from 16 starts (16-6-2-2). Type: Sprinter-miler. Racing pattern: On-pace. Triple Five - 3yo US-bred bay gelding by Girolamo out of High Falutin Girl (x Silver Deputy). Trainer: Bart Rice. Three wins (1000m to 1200m) and three seconds from six starts (6-3-3-0). Type: Sprinter. Racing pattern: Frontrunner or on-pace. 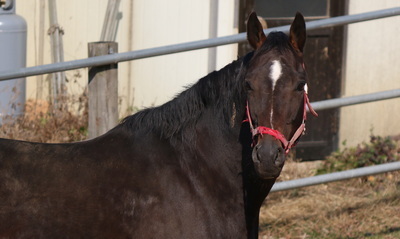 Always Winner (Reserve) - 4yo Korean-bred bay gelding by Creek Cat out of Hallat’Eukkeup (x Land Rush). Trainer: Peter Wolsley. Five wins (1000m to 1400m) and six placings from 18 starts (18-5-4-2). Type: Sprinter-miler. Racing pattern: Frontrunner. Jingyeogui Geojang (Reserve) - 3yo Australian-bred bay colt by Artie Schiller out of Danger Academy (x Royal Academy). Trainer: Seo In Seok. Three wins (1000m to 1400m) and four placings from eight starts (8-3-2-2). Type: Sprinter-miler. Racing pattern: Can lead and come from off the pace. Of the five trainers, Seo In Seok is no stranger to Kranji as he saddled a runner in last year’s KRA Trophy, Cheon Gu, who ran ninth. Australian Peter Wolsley became the first foreign trainer to be licensed in Korea in 2007. He trains his team from Busan where South African Bart Rice also began operating in 2013. FORMYSIS won a gutsy class 6 in the wet, she is a filly who has shown a lot of improvement from race to race and the win was well deserved. well done to the connections and to the team at home. Owner/Breeder combination. 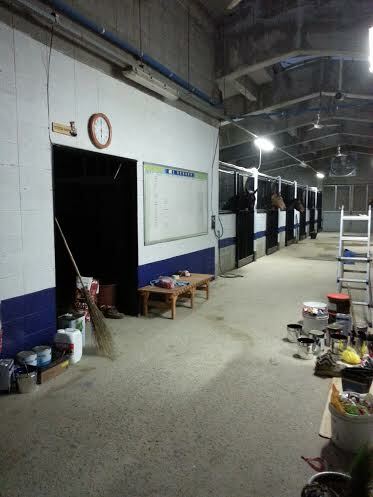 January brought new beginnings to our stables, we started off the new year in a new barn, after a lot of cleaning a preparation we converted it into a 5 star yard for our special and talented athletes. 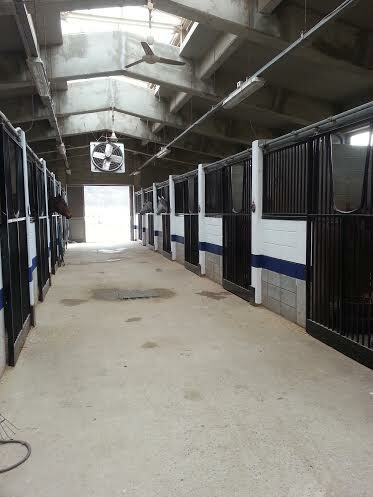 AFTER - Welcome to the new home of Bart Rice Racing Stables, you will find us in Block B3. Ace Shinwa finds the winners box on her first outing, our own selected Australian bred filly off the Korean Breeze up sale at the end of last in October last year. 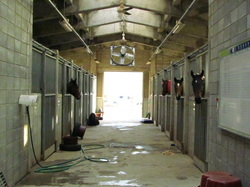 Congratulations to her owners who support our yard and are extremely patient and understanding. Also a huge thank you to the team at home. 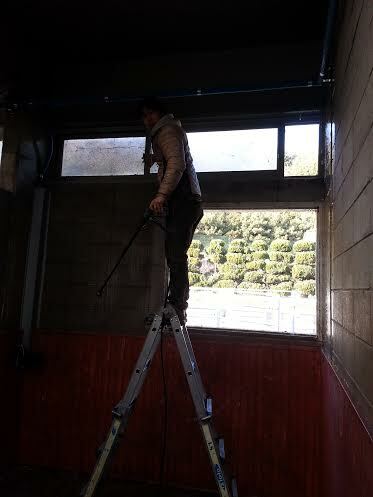 We visited Seungsu Farm and were blown away by the level of care and professionalism they show their horses. Beautiful grass paddocks for grazing and a really relaxed environment to match. During our visit we were accompanied by the Farm Manager and the Farm Vet, our owners were present and to top it all off we were treated to an outstanding lunch. Colt by CAPTAIN SONADOR out of a Dantibes mare. He is a classy robust colt with a good attitude. Thank you to his new owners and welcome to our racing stables, may we have many winners together. Filly by ONEMORENOMORE, out of a Danehill mare. A very solid well put together filly with unbelievable scope. A huge thank you to her owners for their continued support in our stables. Former Ashburton trainer and ex-patriot Zimbabwean Bart Rice is flying the South African flag in no uncertain terms in South Korea and proving once more to the international racing fraternity that Southern Africa have some of the best horseman in the world. Meanwhile, the on-going relationship between Korea and South Africa is set to step up another gear after continuing negotiations and the Korean Racing Authority (KRA) have also announced that they have opened their doors to foreign owners, which provides an opportunity to race for the third highest prize money in the world. Rice, by all accounts, became the first trainer in Korean history to have a winner with his first runner on the 24th January 2014 and currently after a double on October 15 from just two runners, he stands on 23 winners. However that has come from just 102 runners and has achieved a fantastic strike rate of 22.5%. 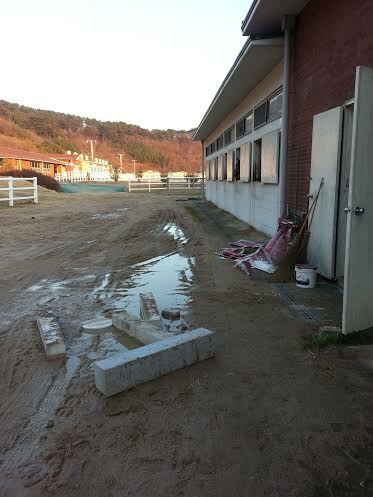 After this meeting Rice was 11th on the Busan trainers log. However, his strike rate in this major racing centre is the third highest only the top two on the log, Kim Young Kwon and Peter Michael Wolsley. Rice has also had 10 seconds and four thirds. The on course attendance figures in Korea are absolutely phenomenal and for example the average Sunday meeting attendance in 2010 was 192,999, although this dropped to 175,122 in 2011. Fanatical racegoers have learnt that when a Rice horse is turned out it will be fit and well and ready to win. Rice's success has caused the powers that be to sit up and take notice, and the KRA have now requested that a South African jockey relocate on a permanent basis, although the criteria includes that he or she must have a winning percentage of at least 8%. Further more, the KRA recently announced that they have opened their doors to foreign owners, which means that owners will be able to buy and race horses there. However, the application in this regard is only open for a limited period and apparently closes in about two weeks time. Korea has a Tote Monopoly and their prize money ranks the third in the world behind only Hong Kong and Dubai. In 2012they boasted a US$7.4 billion industry, and to put that into perspective, and average weekend's take at their three racetracks equalled that of all tracks in the United States over the same period. The system of ownership in Korea is virtually flawless and prevents a problem trainers in South Africa face of non-paying clients. The KRA travel to foreign countries like Australia to buy horses that they believe will improve their stud book and then put them on auction in Korea. Owners that have been granted the right to race can buy these horses, but quickly lose this right if they fall behind in their payments to trainers. South African racing and the KRA currently have a "twinning" agreement, which manifests in such events as the KRA Guineas meeting held in honour of South Korean racing at Greyville every year at the beginning of the Champions Season. Opportunities have also been provided for jockeys and apprentices to be hosted on a reciprocal basis in both Countries. Vidrik Thurling, the former chairman of Gold Circle and now a director of Kenilworth Racing, was largely reasonable for the forming of the bond with the KRA and for its continual strengthening. He has revealed that there are currently ongoing negotiations between South Africa and South Korean racing at the highest level that have revolved around such aspects as the swapping of television pictures with accompanying betting and paying of royalties. Further down the line there is the potential for co-mingling and there have even been discussions about the possibility of positive changes to the export protocols. Hyun Myung Kwan, who is both Chairman and CEO of the KRA, is due to attend this year's J&B Met. 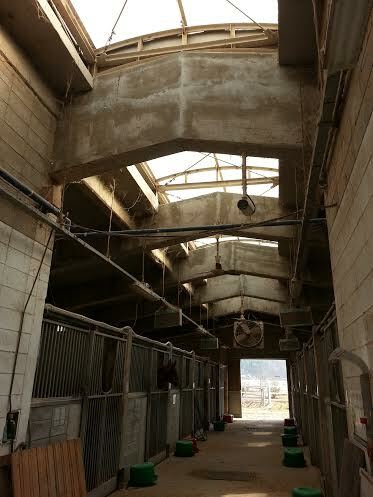 These negotiations are all part of Korea's efforts to internationalise as they evolve as a horseracing nation. Rice's venture was made possible when the KRA asked for a South African trainer a few years ago in order to uplift the overall quality of horsemanship among their ranks. Thurling discussed the matter with Gold Circle's current Racing and Marketing Executive Graeme Hawkins and they identified Rice as a candidate that ticked all the boxes. Rice's horsemanship skills as both a trainer and an equestrian sportsman were not in question. 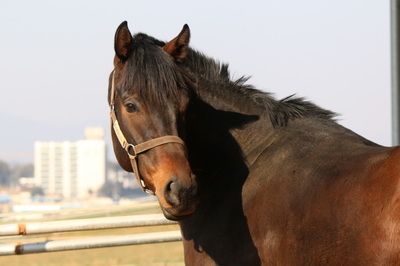 Despite never being able to attract owners with significant buying power after relocating from Zimbabwe to South Africa in 2005, he was able to still have winners with his small string of unfashionably bred horses. Rice was approached by Thurling and after his positive response was flown to Korea by the KRA. 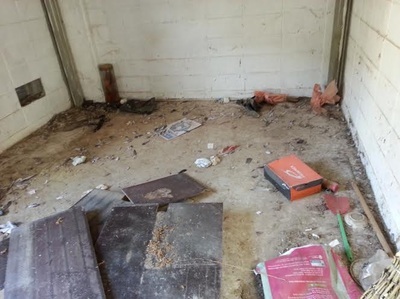 Thereafter he was promised accommodation for two years plus 20 horses to start with. 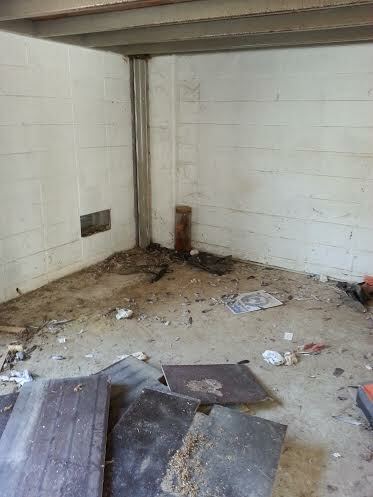 Gold Circle facilitated the move throughout as the red tape involved meant mountains of correspondence was required. They also helped Rice pay the deposit for the Visa and work permit requirements, which was refunded by the KRA after about three months. Rice has not only had success on the race track in Korea, but has drawn further attention due to his high degree of professionalism. He is one of the only trainers in the country to have his own website. Gold Circle have followed his progress keenly and are not only delighted and proud to see the strides he is making, but also pleased that it has helped foster further potential in the relationship between South Africa and South Korean racing. 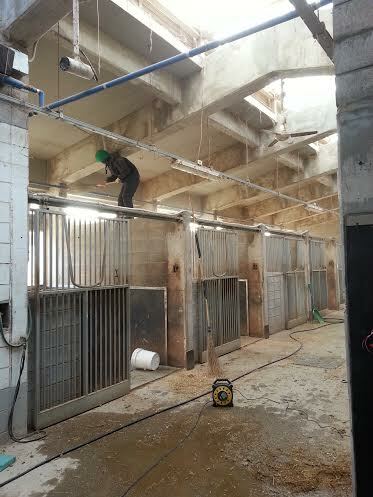 u15-10-2014 Horses breakdown from the Ground, up! Take a better look at their feet..
South African trainer Bart Rice was on the mark today, sending out two runners at Busan Racecourse today and coming home with two winners. It’s the kind of thing the 38-year-old has become renowned for in his short time at the track so far. When punters see a Rice horse running, they know it will be in fine order and wouldn’t be running if it can’t win. The odds usually reflect that. Today, Rice sent out Better Than You (Ft.Stockton) in race 2 and Aussie import Ace Cheonbok (Zizou) in race 7. Both won comfortably at short-odds under Japanese rider Masa Tanaka. The wins take Rice onto some extremely noteworthy figures. 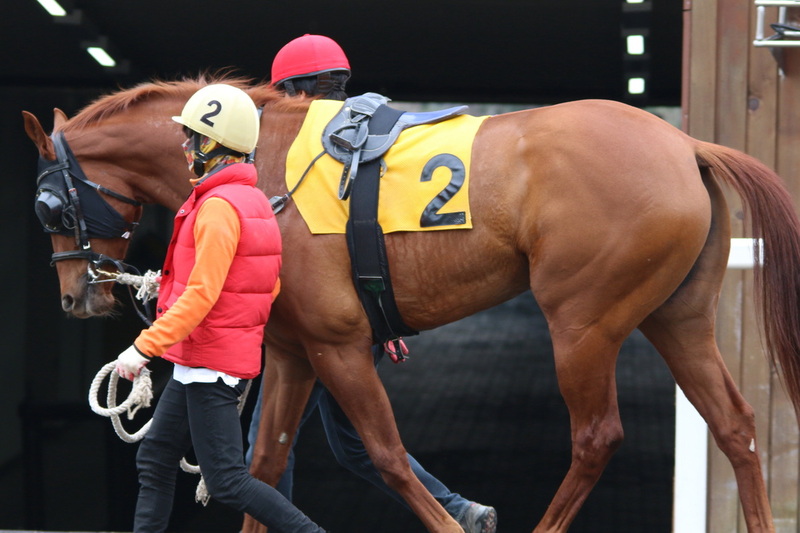 He has 22 horses in his stable and lies in 11th in the Busan Trainers’ Championship with 23 wins in 2014. However, these have come from just 102 starters. To emphasize his focus on winners, there have been a further 10 second places and just 4 thirds. Only the Peter Wolsley stable and the Kim Young Kwan factory can boast a better strike rate; Rice leads the next best by some considerable distance. Wolsley has sent out 205 runners this year and Kim over 300. Among the 32 trainers at the South-Coast track, the only ones who have sent out fewer runners than Rice are Ahn Woo Sung and Gu Young Jun and they only received their licenses this summer. Rice looks like a man who wants to do things properly. 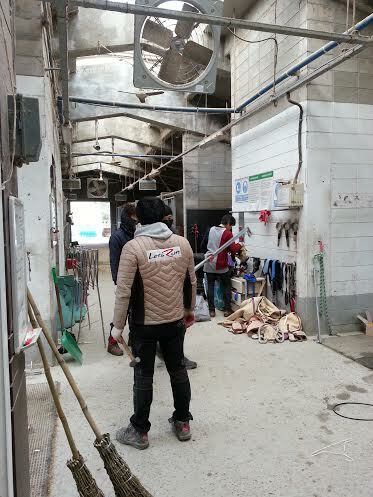 He’s one of very few trainers in Korea who has a website and has clearly set out to train and race his own way. 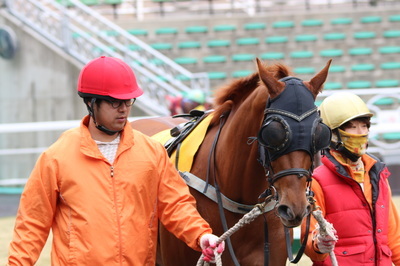 In Masa Tanaka, he also has a very capable de-facto stable jockey (Tanaka is officially freelance). Whether he can sustain this strategy long-term in the face of notoriously demanding Korean owners who, with decent prize-money going all the way down to 5th place, want their horses running whether they have a chance of winning or not, remains to be seen. For now though, it has been a remarkable debut year. Better Than You is an interesting one. 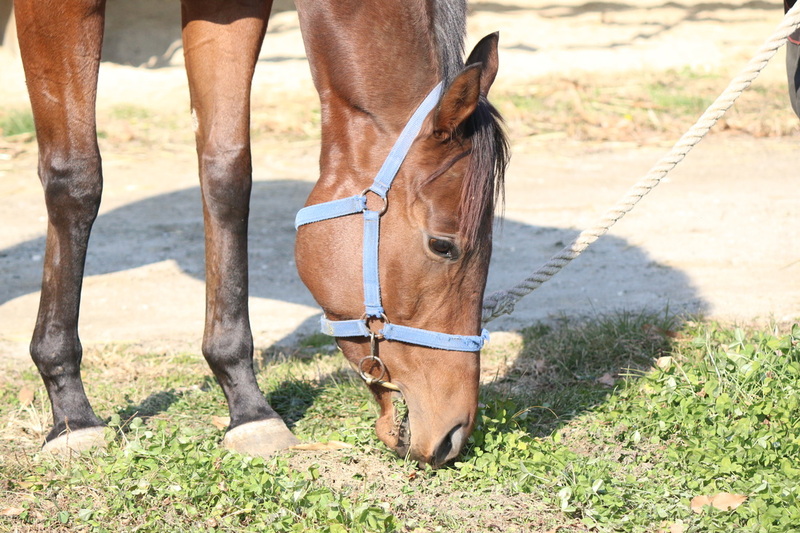 The 3-year-old gelding spent a year in the United States, racing in Florida four times before returning to Korea this summer. Today was his first race in his homeland and he romped home by a full 11 lengths. He wasn’t the only one of those who went to the US running today. Gangnam Camp (Forest Camp), who was with Better Than You on the same program in Florida, actually landed a 2nd place at Gulfstream Park earlier this year and comfortably won his Korean debut last month. He was on target again today taking race 6 by four lengths. 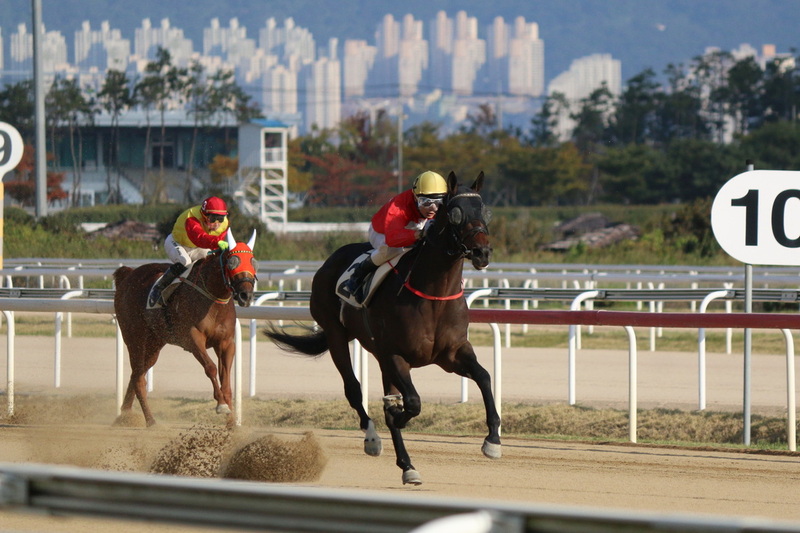 Ace Cheonbok tears away from the rest of the field to win comfortably in a class 3 yesterday 10/10/2014. Well done to the winning connections. Better Than You winning by 11 lengths under Masa Tanaka. Congratulations to the winning connections. In the short time we have trained in Korea we have had 21 winners and 36 places off just 24 horses. We have replaced a lot of our older stock with babies and the cycle will start again. In our crop of two year olds we have a few showing some exciting promise. Once again we would like to take this opportunity to thank our owners for their continued support and also for putting their trust in our stables, without them there would be no Racing. 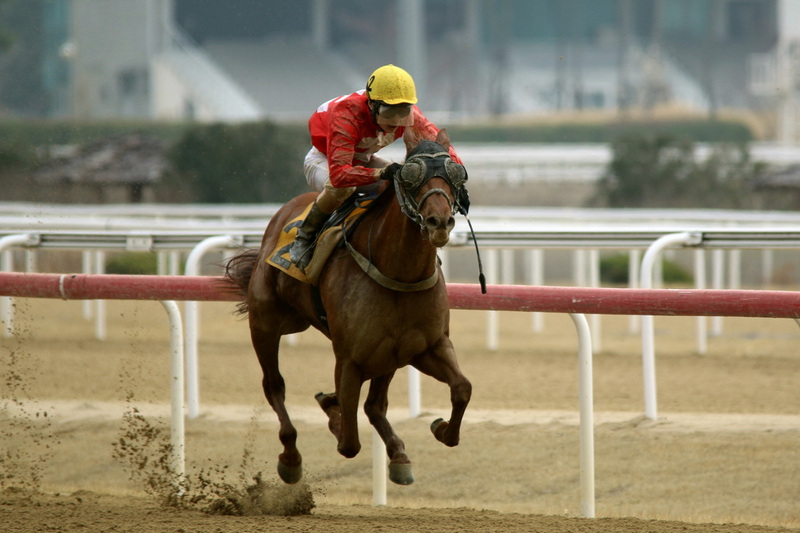 The Korea Racing Authority (KRA) has long intended to host international races in order to provide high quality races for local racing fans, to produce stronger and faster Korean-bred horses and to promote horseracing as a sport, not just as a gambling medium. 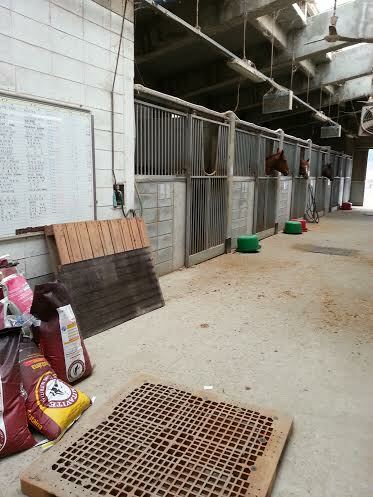 On September 1, 2013, overseas-trained horses ran in Korea for the very first time. 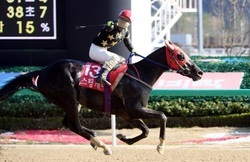 Three Japanese runners from Ohi Racecourse (NAR) competed with 11 Korean horses for the SBS ESPN Goodwill Cup with the race being shown live on a major TV Sports Network in Korea. It was won by Japanese visitor “Tosen Archer”. The return match in Tokyo was held on 26th November. 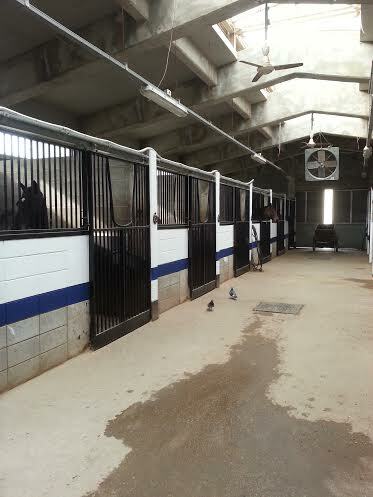 3 Korean horses traveled from Seoul Racecourse to compete with 11 Japanese horses. 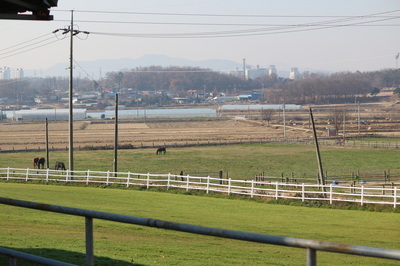 One of those Korean horses, “Watts Village” won the race. For 2014, the KRA will now host the 1st international invitational race (Asia Challenge Cup) having established a quarantine protocol with the Government. On August 31, over a distance of 1400 meters, 3 runners from Singapore, one of the powerhouses of Asian horse racing, will join three Japanese horses racing against 8 Korean horses. The Japanese runners will arrive in Korea on August 20 and the Singapore runners on August 22. 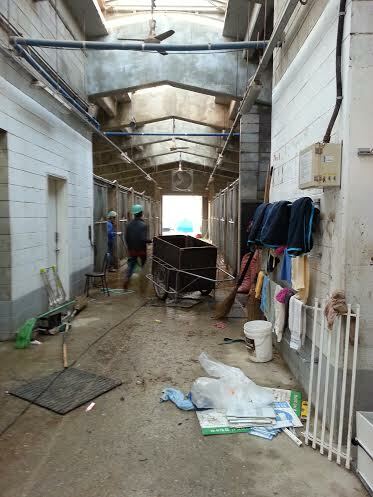 From the airport, they will be transported directly to a special quarantine zone in Seoul Racecourse. Japanese jockeys and Singapore-based American, Australian & Brazilian jockeys will be in Seoul to ride in the race. It is anticipated that the International Race will not only offer local fans the highest quality horse racing in the calendar but will also attract the attention of the sport's leading horses, jockeys, trainers and owners from around the world as it will be telecasted live to Singapore. From now on, the KRA aims to host high-quality international races every year and to be promoted into a Part 2 country in the very near future. EL PADRINO (NZ) [Mr. Nancho-Crownie (Luskin Star)] 6-year-old Gelding (28/7/5/4) - One of Asia’s top Sprinters, El Padrino won the Merlion Cup, the first leg of Singapore’s Sprint Series, in March this year. He has also run and won in Dubai. He was 6th in the Krisflyer International Sprint in May this year and his Merlion victory earned him an invitation to the Golden Shaheen at this year’s Dubai World Cup. He didn’t go but he will be looking for international glory in Seoul instead. 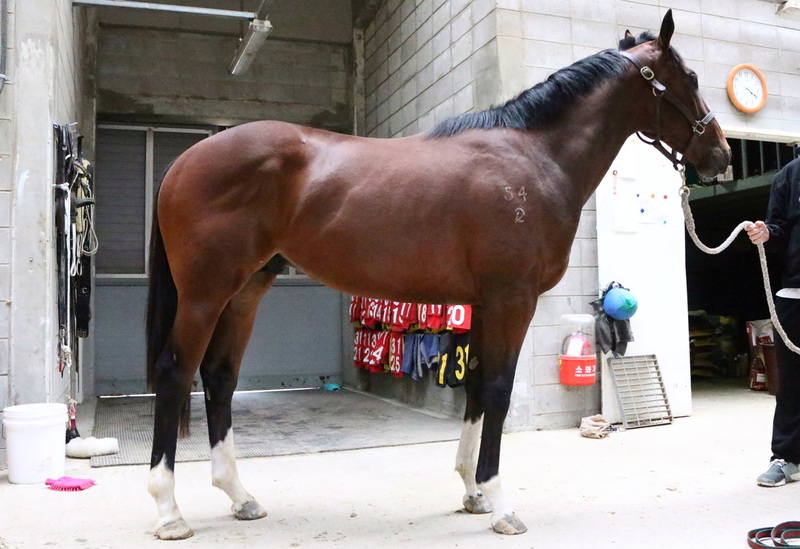 TRUDEAU (AUS) [Exceed And Excel-Canadian Legacy (Kris)] 7-year-old Gelding (33/7/5/9) - A surprise winner of the Garden City Trophy in Singapore last September, he followed that up with another victory a month later. He comes to Korea having won a Malaysian Group 1 race in June and with Noel “King” Callow, the winner of last year’s Seoul International Jockey Challenge, on board Trudeau could have a very good chance. SPEEDY CAT (NZ) [Scaredee Cat-Lane Cove (Magic Of Sydney)] 6-year-old gelding (35/8/7/5) - This very experienced horse has eight career wins to his name including two at this distance, one of which was last year’s Singapore Stewards’ Cup. He is yet to win in 2014 but he has gone close and can’t be ruled out. CHOCOLAT VERRINE (JPN) [Gold Allure-Breezy Woods (Timber County)] 5-year-old Mare (24/6/5/3) - Runner-up in the Narashino Kirrato Sprint at Funabashi in July, Chocolat Verrine comes into this race in fine form, having finished outside the top two only once in five starts in 2014. TOSHI GANG STAR (JPN) [Kurofune-Pisa no Birkin (Sunday Silence)] 7-year-old Horse (46/4/6/0) ？ A vastly experienced horse, Toshi Gang Star has two big race wins to his name. He’s only run four times so far in 2014 with a 2nd place at Ohi his best result. Returning to the track for the first time in April, a change of scenery in Seoul could be just what he needs. PIERRE TIGER (JPN) [Cacoethes-Be Fragrant (Daitaku Helios)] 6-year-old Horse (38/13/5/4) ？ Recently back in action after a 5-month layoff, Pierre Tiger has two big race wins among his thirteen career victories to date. His biggest victory came in the 2012 Mile Grand Prix at Ohi. His best performance in three runs this year was a 3rd place finish over a mile at Kawasaki. As the stable set off on a winning streak, the success has been consistent and seen the team have accomplished a very high win rate of 30.6% and a place rate of 41.7%. Our stables boast a strong, happy work force who are incredibly devoted and passionate towards their well muscled athletes. Without the team, there is no dream! 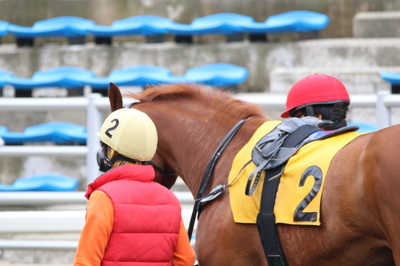 Guineas” – which will be run at Busan Racecourse on Sunday April 6. 2010, has triumphed in the race to date. (Overall) are all expected to be present. unbeaten, having won all of her 5 starts to date. Bart Rice, who arrived in Korea at the end of last autumn, finally sent out a runner at Busan Race Park on Friday afternoon and he found immediate success as that runner, Gyeongnam Sinhwa, won race 3. 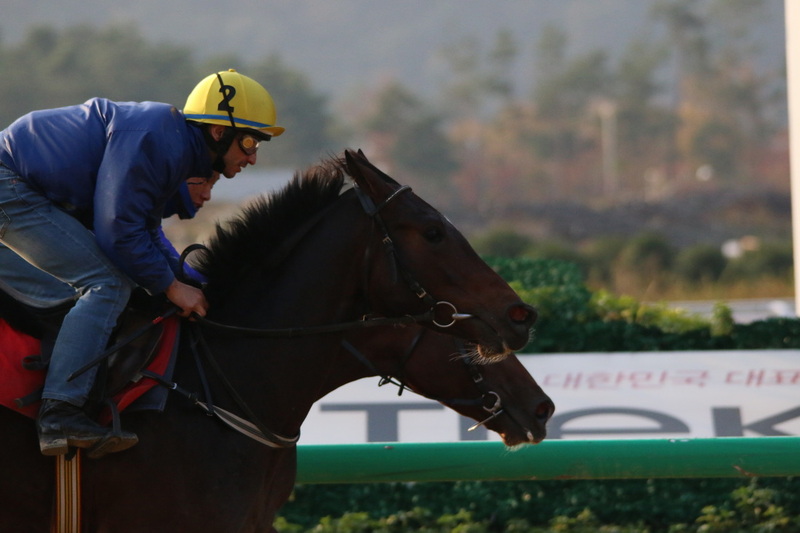 The 37-year-old, who is the 3rd foreign trainer to be licensed in Korea, has put together a string of 22 horses since his arrival although – no fault of the trainer – they appear to be in varying states of race-readiness. US import Gyeongnam Sinhwa (Keyed Entry) was himself making his racecourse debut and after being sent off at odds of 8/1, landed victory by a length under French jockey Jerome Lermyte, who was himself scoring only his 2nd win in Korea. Rice’s other 2 runners on Friday were unplaced but his 33.3% strike rate will stand for some time. 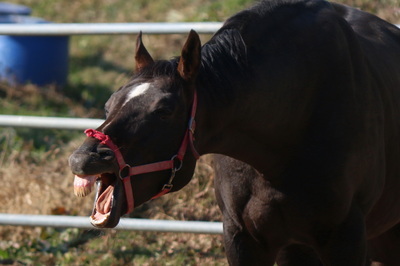 He doesn’t have any entires on Sunday and racing takes a break next weekend for the Lunar New Year holiday. Bart Rice sent out a winner with his first runner in Korea on Friday and by all accounts became the first trainer to achieve this feat in the Northeast Asian country’s racing history. 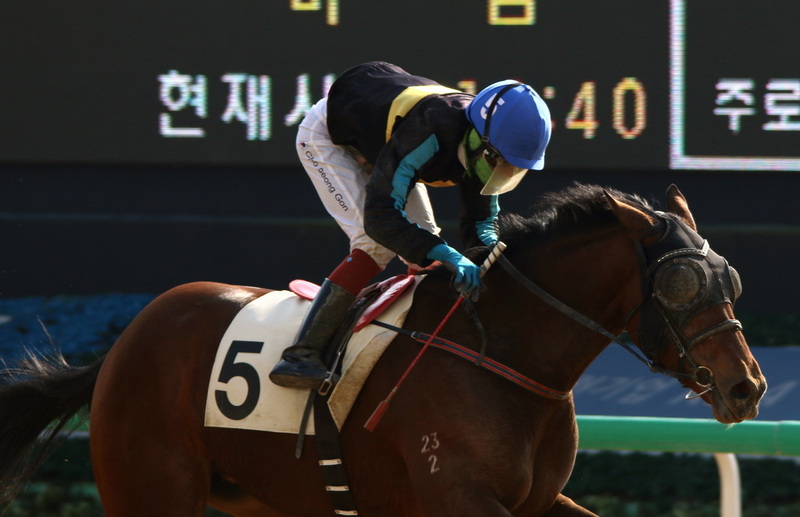 The former Ashburton-based trainer’s stable jockey Jerome Lermyte rode the USA-bred first-timer Gyeongnam Sinhwa to a one length victory in a 1 000m maiden on the sand at his new home course, Busan Gyeongnam Horse Racing Park. Rice’s pre-race confidence in the 8-1 shot was well founded as she dominated from the off. 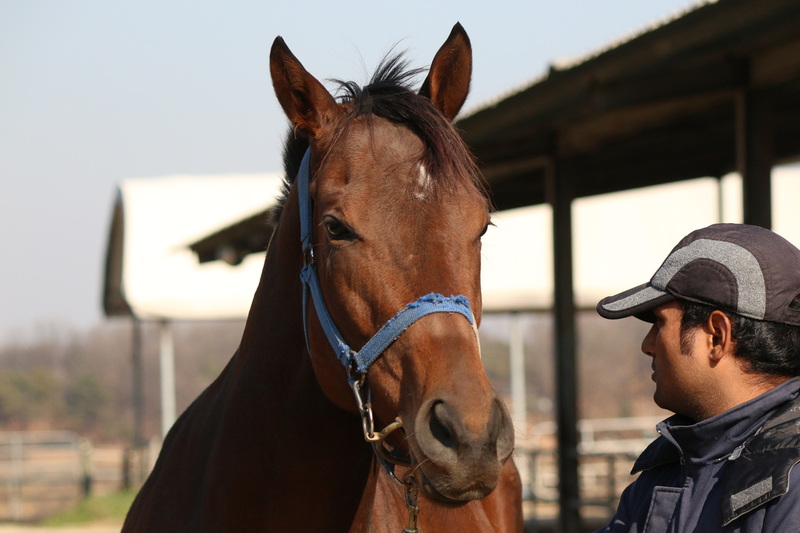 South African and Korean racing have forged a strong bond over the last few years. The link was pioneered by former Gold Circle Chairman Vidric Thurling, now a director of Kenilworth Racing, and a twinning agreement was signed between Gold Circle and the Korean Racing Association (KRA) in July 2008. On top of the annual KRA Guineas and Gold Circle Trophy meetings held at Greyville and Busan respectively, a South African jockey is invited every year to the Korean International Jockey Invitational held in Seoul. Cape jockey Gerrit Schlechter won the Invitational in 2007 and rode 30 winners in Korea in 2012, while Chris Taylor and Derryl Daniels are other South African riders that have had short stints over there. Korean apprentices have enjoyed spells with the South African Jockey’s Academy and Summerveld trainer Ivan Moore’s son Robert is the Academy Master in Seoul. Thurling and Gold Circle’s Racing and Marketing Executive Graeme Hawkins were approached a couple of years ago by the KRA when the latter were looking for a foreign trainer to bolster their ranks. Rice, who arrived in South Africa from Zimbabwe in about 2005, was recommended and when arriving in Busan at the beginning of last month became only the third foreigner to hold a trainer’s license in Korea. Rice and his wife and assistant trainer Pam now have 20 horses in training, among them a four-time winning filly and an unraced filly that stand out as good prospects. 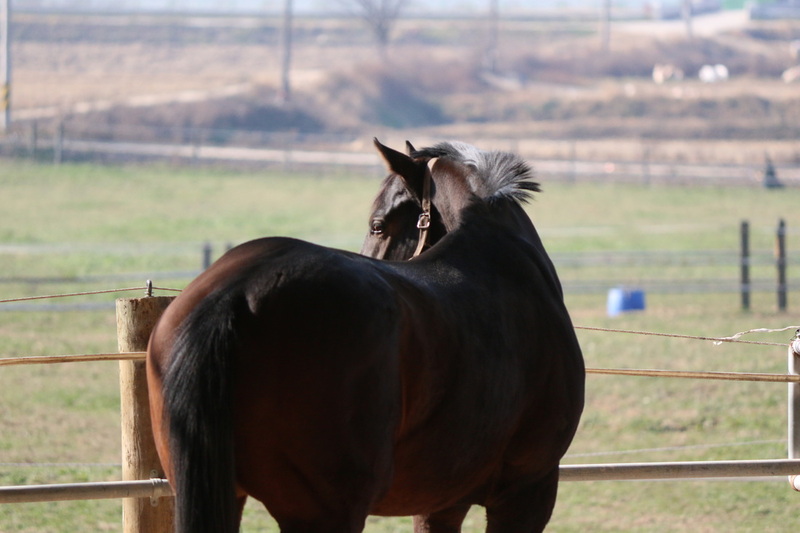 His yard will be restricted to 24 horses in his first year. 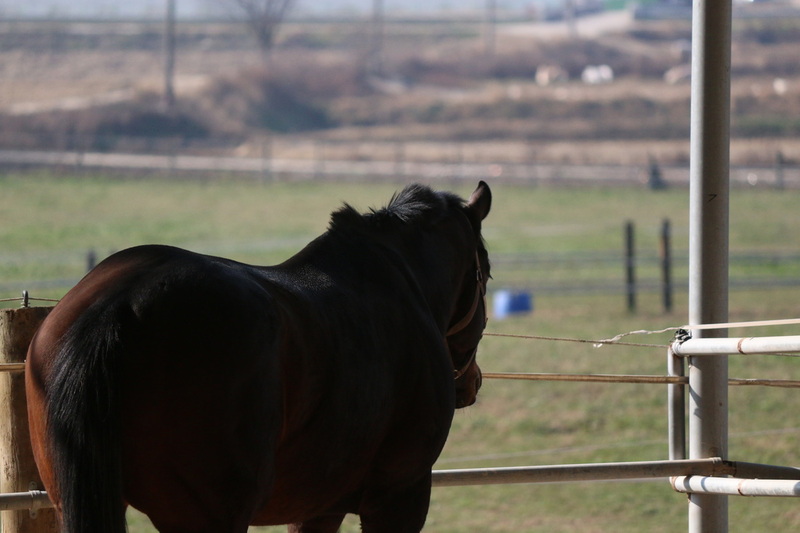 The “stables” that support the yard monitor performance as well as stable management and work ethic, and these factors determine the degree of future support. 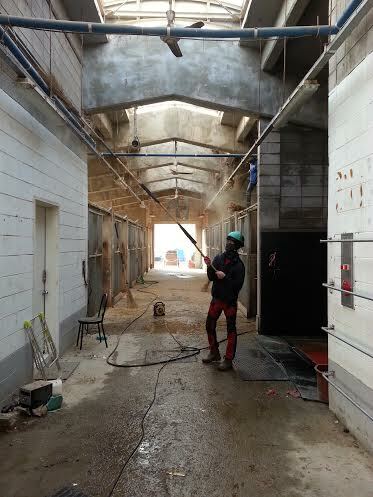 Rice described the training facilities at the Busan Gyeongnam Horseracing Park as “top class” and has two “excellent” workriders in his team alongside Lermyte. 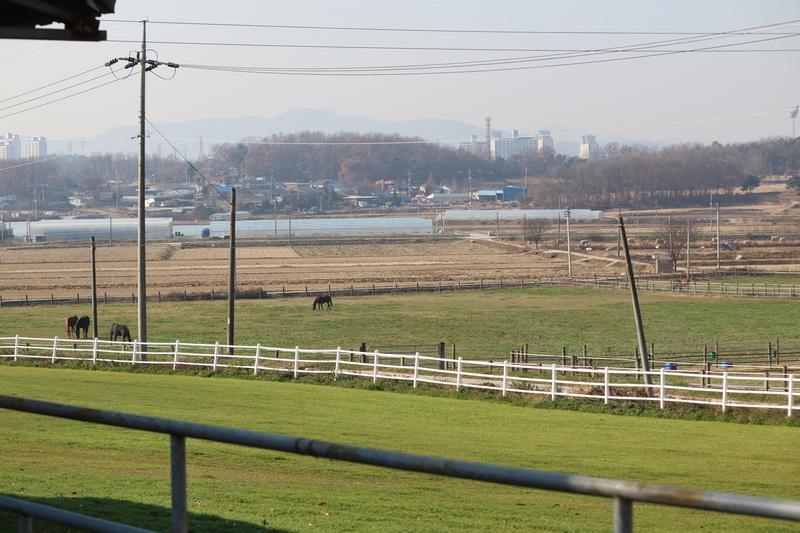 Rice did well with the unfashionably bred stock he had out here and looks sure to kick on from this good start in Korea as their structured system will allow him to do what he is best at, working with horses. 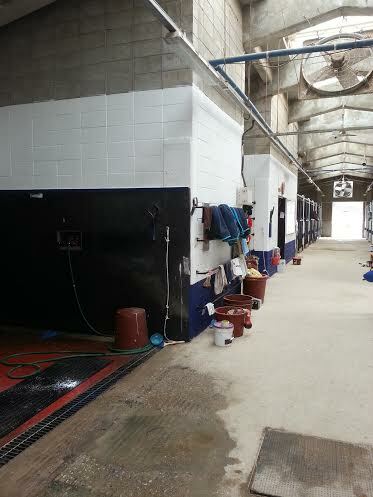 We touched ground on the 29th November and had our official opening at the yard on 4th December 2013. 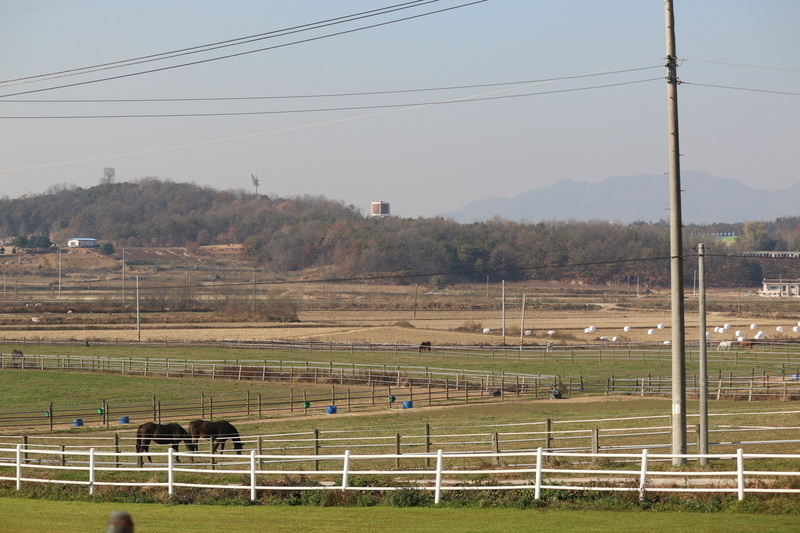 With 20 horses in training, we are moving along well and learning the ropes of racing in Korea, we have been pleasantly surprised with the welcome and friendliness of the locals and the support from the owners. 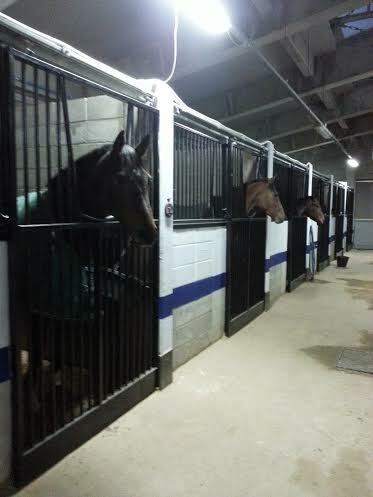 In our string are a few class horses and some unraced babies that are currently showing promise. We are very excited in our new ventures and look forward to our first runners in the new year.